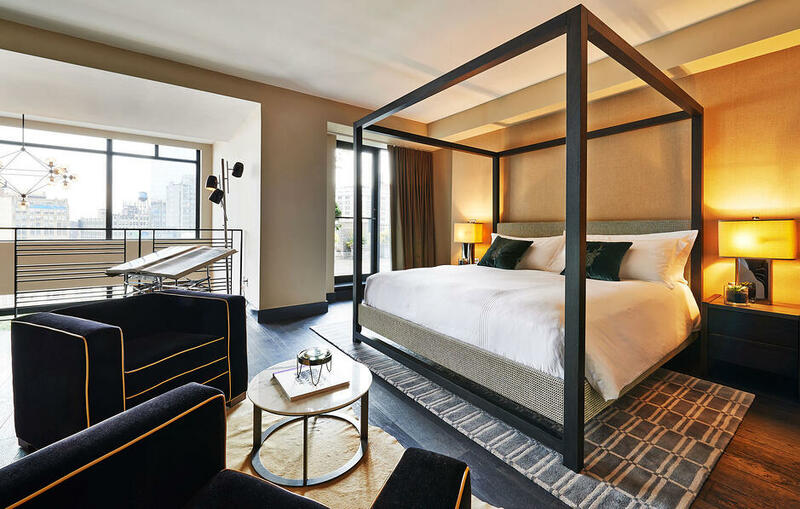 New York, NY -- The highly-rated concierge team at SIXTY SoHo is using ALICE’s concierge task management software, ALICE Concierge, to improve team coordination and efficiency on the job. The team have been using ALICE Concierge since June of 2016. They were previously using another concierge system. SIXTY LES and SIXTY Beverly Hills are also improving their concierge operations with ALICE. Tom Bell, Chef Concierge at SIXTY SoHo says ALICE’s functionality sets it apart from other concierge technologies he’s used. He particularly likes how robust ALICE’s search functionality is. With ALICE, users can find any tasks or tickets in the system by entering just a fragment of information -- something Bell says saves him and his team lots of time when it comes to finding information for a guest or looking up things for himself and his team. ALICE’s package management module is another aspect of the software that lets Bell and his team be more efficient in their work. 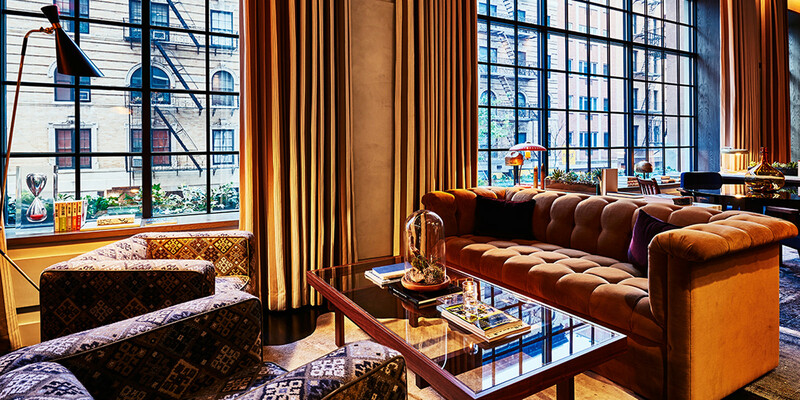 At SIXTY SoHo, the concierge team is responsible for all packages, both guest and internal. As the volume of packages has increased with the rise of e-commerce (Bell says one recent guest had no fewer than 30 packages delivered to himself during his short stay! ), package management has become an increasingly significant part of his job. Having a tool like ALICE Concierge, which provides a digital log for incoming and outgoing packages, and lets users assign packages to guest reservations, helps organize and streamline an otherwise burdensome part of his role. Bell also appreciates how user-friendly ALICE is. He’s trained both of his colleagues on the system, as well as the front desk team, who use ALICE to stay up to date and informed on all concierge requests 24/7. Common requests at SoHo include requests for transportation, restaurant reservations, salon and spa bookings, Broadway tickets and walking tours. When the concierge team may be assisting other guests, SIXTY SoHo’s front desk team can easily access ALICE to pull up previously-created guest itineraries, as well as local restaurant recommendations, which concierges have the ability to create lists of and save in ALICE for other users to access. About ALICE: By joining all the departments of your hotel onto a single operations platform for internal communication and task management, ALICE helps your staff act as a team to provide consistently excellent service. ALICE’s main product -ALICE Suite - brings together your front office, concierge, housekeeping, and maintenance teams, and connects your guests to your hotel with our app and SMS tools. The ALICE platform is also available as specialized software and mobile applications for your staff (ALICE Staff), your concierge (ALICE Concierge) and your guests (ALICE Guest). Each module can be integrated with your PMS, POS, and third party management systems. ALICE’s partners include 3-5 star independent and managed hotels, hotel groups, residential condominiums, serviced apartments, vacation rental companies, and concierge companies looking to provide exceptional service through mobile staff technology and guest communication channels. Third-party service providers also leverage the ALICE API. ALICE was founded in 2013 by Justin Effron, Alex Shashou, and Dmitry Koltunov, and has raised $13.5M to date.